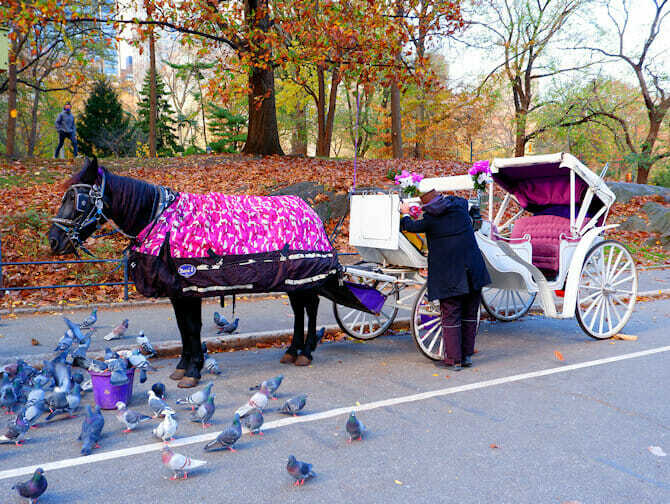 A carriage ride in Central Park, what could be more romantic? Surprise your loved one with this ride. 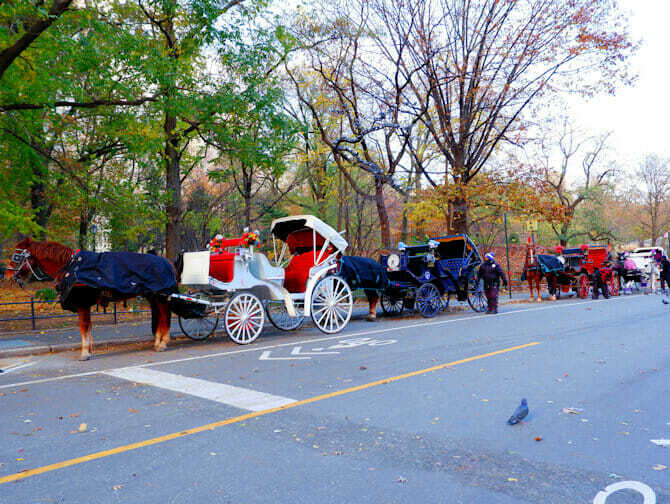 Taking a carriage is a nice way to see and experience Central Park. Furthermore, you can imagine being part of the “old” New York, when the wealthy citizens were transported by carriages. The carriage ride takes 25 to 30 minutes. In that time, you won’t be able to see the entire park (it’s just too big for that), but you will pass by some beautiful places and attractions. 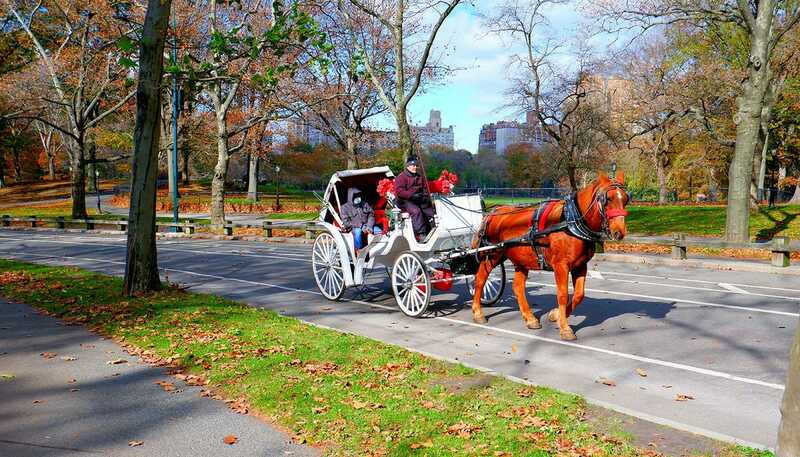 While the horse gently pulls the carriage, listen to the wheels softly rattle as the driver tells you about the history of Central Park and its many attractions. Did you know, for example, that the park was so rocky, the architects had to import the soil from New Jersey in order to be able to plant trees? Or that the park, in its entirety, is man-made! With the exception of the huge rocks, which have been there for millions of years? The drivers have a lot of experience, sometimes even decades, and can tell you a lot about the park. Do not hesitate to ask questions! Most of the drivers also have (photo) books in their carriages, so you can see how certain places looked a hundred years ago. The ride is certainly not just a history lesson. From the carriage, you get to witness the many ways that New Yorkers make use of the park. You might even see live tango lessons, a music concert, wedding or baseball game. If you’re lucky, you may even see one of the many celebrities who often go running! Look out for Snoop Dogg and Sarah Jessica Parker. The driver will stop anywhere you want, so you can get out and walk around or take photos. Four adults fit in the carriage, so you could also take a ride with the family. If you just want a romantic ride for two, or to arrange a proposal: the drivers have plenty of experience with that too. After purchasing, you’ll receive a voucher that you can print or show on your phone. Extra: Max 4 adults per carriage. Two children below the age of 7 are considered as one adult. The carriage is always private.